Salvia officinalis, a native to the Mediterranean, this evergreen dwarf shrub has woody stems with distinctive greyish leaves and blue to purple flowers. Popular for it’s culinary use it also has well established medical uses. Its essential oil contains many beneficial components. 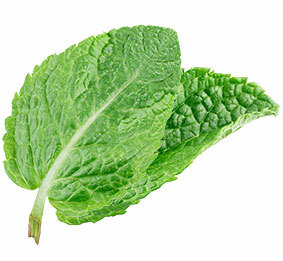 It is popularly used in many respiratory preparations. 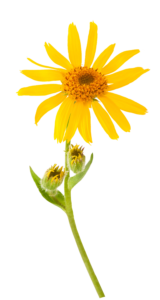 Arnica montana has often been associates as a remedy for bruising and sprains. 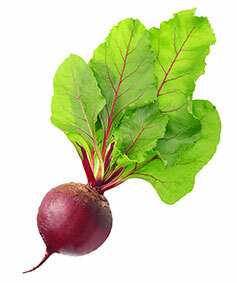 The root contains essentail oils which are powerful anti-inflammatory agents. Found throughout Europe in moist, peaty siliceous soils. 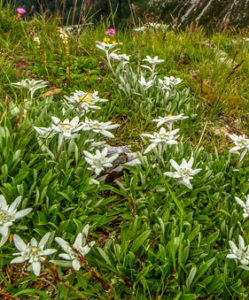 Generatiions of Swiss mountain guides chewed arnica leaves to prevent fatigue whilst climbing. Arnica Montana is native to Alpine meadows. It is known as a reliable bioindicator for nutrient poor and acidic soil. Chamomilla matricaria also known as German Chamomile has a strong aromatic scent. In fact the word Chamomile come from the Greek for eath-apple because of its apple like smell. This popular herb is often found in teas to help with stomach disorders and calming effect. Its oils contain many active ingredients such as bisabolol. Leontopodium alpinum, is associated with the Alps, prefers to grow in the rocky limestone high altitude habitat. 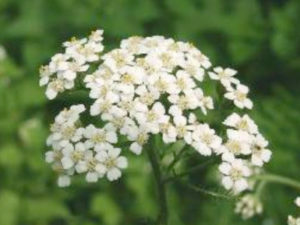 Its leaves and flowers are covered in fine white hairs and grows in the wild to 3-20cm. The common name comes from the German compound word ‘edel‘ – noble and ‘weiß‘ – white. 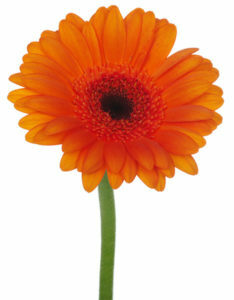 Calendula officinalis, a member of the Asteraceae family, is native to southern Europe and is an aromatic herbaceous perennial. The florets are edible and can be added for colour to salads. Extracts have anti-viral, anti-geotoxic properties. 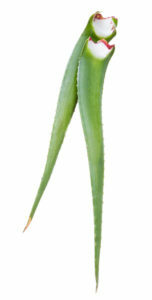 Aloe barbadensis is a succulent plant originating from the Arabian peninsula. The leaf gel is a natural moisturiser and a natural filter against UVB. IT has a slight astringent and anti-inflammatory properties. It has wound healing and antibiotic properties and fights irritations. Nahrin AG are members of the International Aloe Science Council, a non-profit organisation set up to share best practices and shared research into Aloe products. 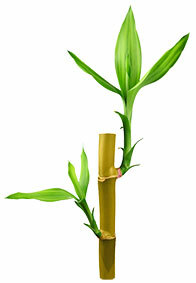 Bambusa vulgaris native to Indochina and one of the biggest of the bamboo species. 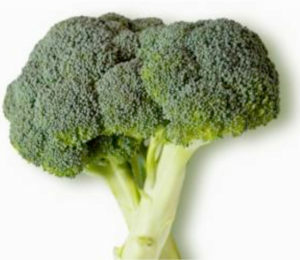 Brassica oleracea italica is a member of the cabbage family and native to Europe. 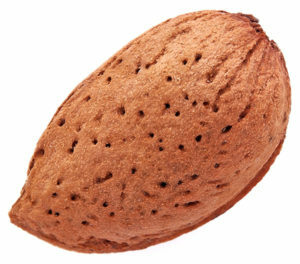 The seeds contain over 50% unsaturated fatty acids which is mainly made up of erucic acid (omega-9), oleic acid (omega-9) and linoleic acid (omega-6). Piper Nigrum is indigenous plant to south India and has been used for flavouring and in traditional medicines for many centuries. Black pepper is made from the green unripe drupes which are cooked in hot water briefly to rupture the skins before drying. Oil is then extracted by crushing them. The seed of the Prunus armeniaca is used as an exfoliant therefore replacing the need for plastic microbeads which are oceans and entering out food chain. THe oil is moiturising and rich in vitamins, minerals and enzymes. 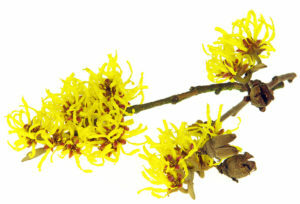 Hamamelis virginiana, introduced to the English garden by Peter Collinson from its native North American. Its leaf and bark are popularly used as an astringent and for its cooling properties. It can be used externally on sores, bruises, minor skin irritations and skin care. Melissa Officinalis is a native plant to south-central Europe. The leaves have a mild lemon/mint scent and during the summer they put out small white flowers. 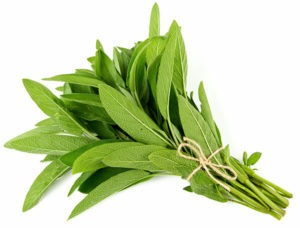 Popular culinary use in teas and ice creams, it is often used by herbalists to aid sleep and digestion. Its essential oils contain citronellal, geranial, linalyl acetate and caryophyline. A chemical compound present in botanical extracts of the comfrey plant. Has softening and moisturising properties. It increases water content in the top layer of the skin. It helps promote wound healing and is soothing has anti-irritant and anti-inflammatory properties. It improves cell regeneration and smooths rough and chapped skin. 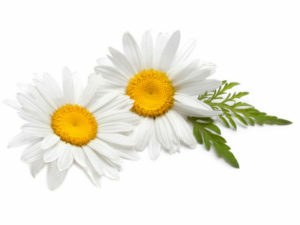 Bisabolol is a natural substance which is a primary component of German chamomile essential oil. It has a subtle floral scent and is known for it’s skin healing properties. Prunus dulcis, a native of the Mediterranean, is a classic base oil for massage products. It has caring and nourishing properties and quickly penetrates the skin. It is suitable for all skin types especially sensitive rough and dry skin. Dacus Carota Sativa, also known a wild carrot. Its leaves and tripinnate has a fine and lacy appearance. It is often planted as a companion plant to crops to attract pollinating insects. Beta vulgaris, a native plant of Europe and the Mediterranean coast and the roots and leaves have been used in traditional treatments for a wide range of ailments. 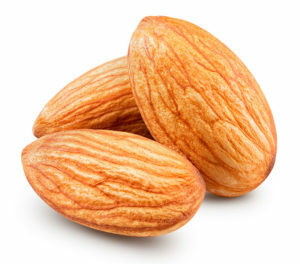 It is known to improve skin hydration and help reduce wrinkles. 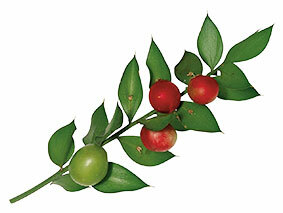 Ruscus aculeatus is an evergreen shrub native to Eurasia. Found in woodlands and hedgerows, and have flat, leaf-like cladophylls which bear a small pale green flower followed by red berries. Traditionally it was used to clean butcher’s chopping boards due to its antibacterial properties and its effect of contracting veins thus improving blood flow. Cera alba, a natural wax produced by honey-bees. Used by the Egyptians for mummification and in the middle ages, it was seen as valuable enough to be used as currency. 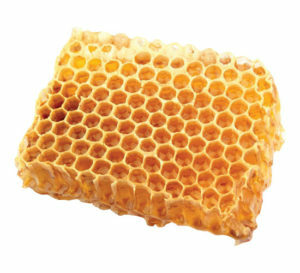 Beeswax has soothing properties and protects the skin from dryness without preventing it from breathing. It also works as an emulsifier. Melissa indica is native to Europe. The name Melissa comes from the Greek meaning ‘honeybee’ referring to the richness of nectar secreted by the flowers. Oil is obtained by steam distillation and is know for its calming effect. The leaves are rich in terpene which acts a relaxant and has an antiviral effect. Achillea millefolium, a native plant to Eurasia, flowers from May to July and has feather like leafs. The flowers have a strong sweet scent which is similar to Chrysanthemums. Traditionally used for its astringent effect.